Hey folks! So, we went a bit over the top in this issue and collected... 15 articles for you this week! Read about the best link-building tactics for SEO, when it is time to stop selling and start learning, and how you should optimize your site for every step of the buying cycle. This week we have 3 articles on fundraising and investing: lessons from Airbnb and some tips for hardware startups. Do not miss out the podcast about how to deal (or not) with your competitors. On the Startup Classic of the week: we selected this great article by Mark Suster on the benefits you didn't know PR could bring to your business. On the must -read: editor of best social media blog out there guides you through building your social media strategy. These 25 big important questions will help you get the most out of yoyr social media efforts and ensure that the time you spend is aimed at the right places and toward your top goals. Success can be a lonely place because the expectations don’t stop – they get higher. Success can be a lonely place because there is so much more at stake and so many more livelihoods and legacies that you are playing for. Success can be lonely because it is only a heartbeat away from failure and the press love a rise-and-fall story. As an entrepreneur, one of the biggest sources of stress you have with your startup is likely your competition. It’s easy to become really paranoid about each move they make, each feature they launch and each piece of content they’re publishing. Everything can feel like it’s aimed directly at burning your castle to the ground. So how do you deal with that? Or do you even deal with it at all? Although there haven’t been any new tactics for link building in a while, some proved to more effective than others in 2015. Here are the 8 most effective link building tactics that work well right now as well as ways to implement them better than, or at least as well as, anyone else. Many marketers believe that acquiring an email address is the only thing standing between them and a sale. If only it were that simple. 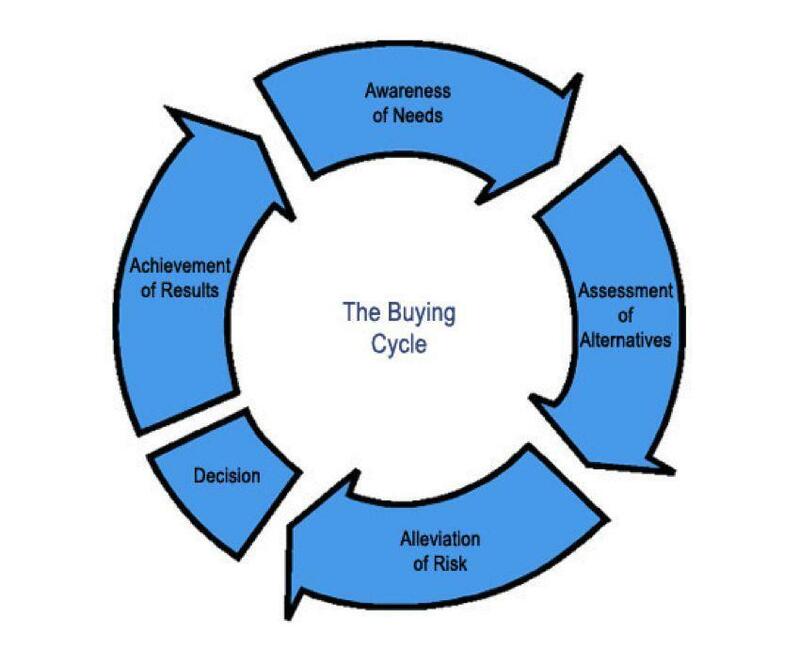 The reason your campaign fails is because you put selling before learning. If you’re not technical and can’t code, it’s very natural to think that you can’t progress much with your startup idea unless you find help. Often the first thought is to either find a technical co-founder, or to outsource building the minimum viable product to a firm or a freelancer. Joel Gascoigne explains why both these options are almost always the less optimal approach for succeeding with your startup as quickly as possible and suggests alternatives. New startups: please remember how many times you can get turned down by investors before you finally wind up getting funded. 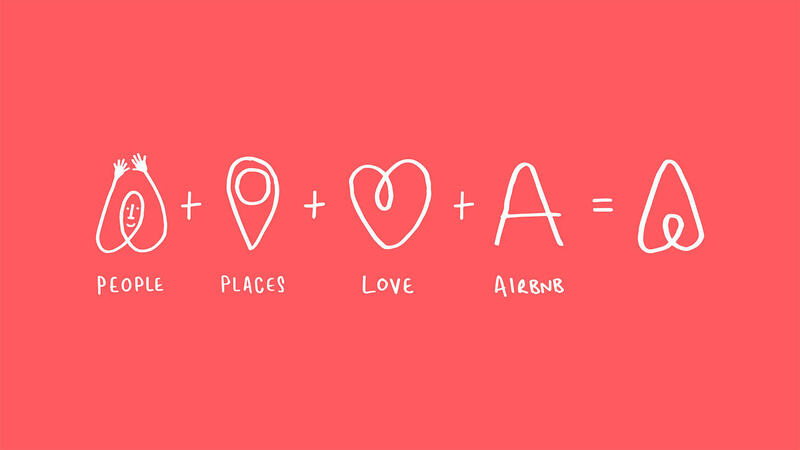 The founder of AirBnb shares is learnings from investor rejections. One of the hardest concepts to internalize for those new to VC is what is known as the “Babe Ruth effect. The best VCs funds truly do exemplify the Babe Ruth effect: they swing hard, and either hit big or miss big. You can’t have grand slams without a lot of strikeouts. Chris Quintero, associate at Bolt VC, shares the few areas he feels are underrepresented in the hardware startup space. Bolt is a seed-stage venture capital firm that invests at the intersection of hardware and software. PR is an insanely valuable activity in early-stage companies. Very few investors understand this and even fewer startups. When you’re an early-stage business every dollar matters and because many startup teams these days are very product & technology centric they often miscalculate the importance of PR. If you want to stand out, feel fresh, appear interesting and get noticed… then you’ve got to use language that stands out, feels fresh, is interesting and gets noticed. It’s tempting to use the first words that come to your mind, but usually. Those are the last words that’ll make you stand out in anyone else’s. The cutsey, overused, cliché phrases have gotta go! 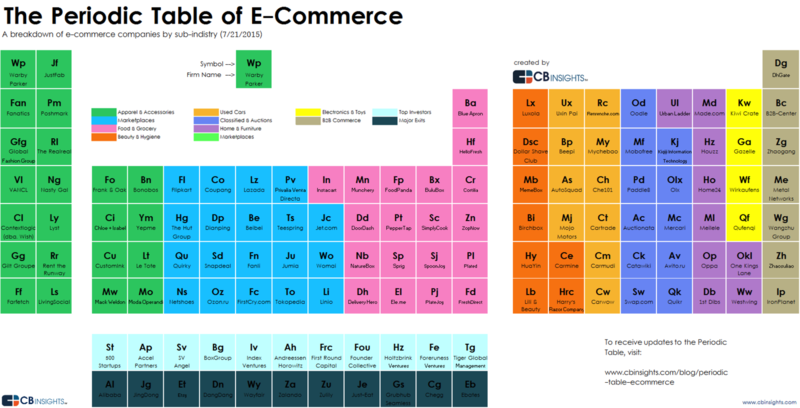 This periodic table of e-commerce spotlights the top e-commerce startups, industry categories, exits, and investors. The table is meant to serve as a guide to navigate the key players in the space. The 131 companies and investors in the table were chosen using CB Insights data and analytics around momentum, financial health, and investor quality. Even IAC, Tinder’s parent company raised its eyebrows at Bloomberg’s $5 billion valuation for Tinder. However, as Tinder’s parent Match.com approaches its planned IPO, it turns out that the $5 billion may have even been on the low side. That’s because Tinder has not one, but two viable business models in the works, and unlike the vast majority of tech companies has contrived a way to pursue both simultaneously.